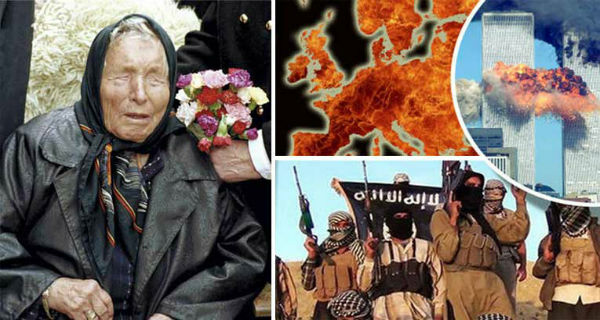 Among all the predictions made by the blind psychic Baba Vanga, including the 9/11 attacks and the rise of the Islamic State, there is another one that might leave the world a little alarmed – Barack Obama will be the “last US president”? The Bulgarian clairvoyant Baba Vanga, or also known as “Nostradamus from the Balkans”, died in 1996 at the age of 85. During her lifetime, she has predicted hundreds of astonishing events and disasters, including the prediction for the Boxing Day Tsunami and the terror attacks on the Twin Towers, as well as the rise of ISIS. Her “success rate” for the prediction measures a whopping 85 percent. Before her death, Baba Vanga prophesied that the 44th US president would be an African American, which turned out to be true. But the most shocking prediction made by Baba Vanga is the one where she claimed that Barack Obama would actually be the last US president. Although Donald Trump has already won the US presidential elections, according to the prophecy, the billionaire tycoon will not be sworn in as US president until January 20, 2017. While it is still unclear what the Bulgarian prophet meant when she said it, some conspiracy theorists claim that the blind mystic warned that something will happen to the president-elect before he is sworn in on January 20, 2017. She went on, saying that at the time of his stepping into the office, there would be a spectacular economic crisis. This has already happened once – the year that Barack Obama was elected as president was the same year the global financial crisis hit. As the aftermath of the election sparked tears and protests, many believe that Vanga’s prophecy will come true. Hundreds of her prophecies have already come true, and mirror.co.uk has listed them all. On the other hand, there also major prophecies from 2016 onwards, you can find them here.